Western asset managers can breathe a sigh of relief: they don’t have to start chasing inflated Chinese stocks just yet. Index compiler MSCI has decided the pumped-up $10 trillion equity market is not quite ready for inclusion in its global benchmarks. Even so, fund managers can’t ignore China for much longer. At times, the debate about including China in global indexes verges on the surreal. How can investors disregard the world’s second-largest stock market by capitalisation? Yet MSCI and stewards of the estimated $9.5 trillion in assets measured against its yardsticks have good reasons to be cautious. 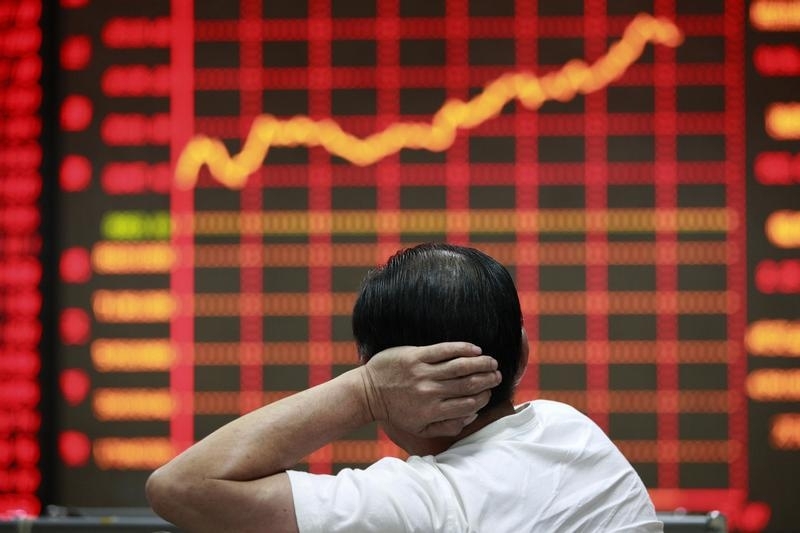 Buying shares in China is still complicated. Though investors in Hong Kong can now trade Shanghai stocks, a planned link with Shenzhen has not yet gone live. A cap on transactions could prevent investors buying when they wish. Big fund managers can apply for quotas to invest directly, but allocations are far from transparent. Investors also still worry about whether they have an enforceable legal claim on Chinese shares held through third parties. These factors are unlikely to delay China’s inclusion for long – it could even get the green light before MSCI formally reviews its benchmarks again next year. Even then, MSCI will start small. Mainland-listed A-shares will initially account for just 1.3 percent of MSCI’s emerging markets index, compared with a 25 percent weighting for Chinese companies listed in Hong Kong. That’s reassuring for funds which will be under pressure to add the likes of China Shipbuilding Industry – up over 100 percent this year – to their portfolios. Yet once Chinese stocks join the club they will only become more important. On full inclusion A-shares would account for a fifth of the MSCI emerging markets index, while all Chinese stocks combined would take up 44 percent of its value. By that point China may merit its own index, in the same way that many fund managers today separate Japan’s equity market from the rest of Asia. In any case, they will have to take a view. Today, being underweight China is a matter of inertia. It will soon become a conscious choice. U.S. index provider MSCI Inc said on June 10 it will hold off including China-listed shares in one of its key benchmark indexes but expects them to be incorporated once market accessibility issues are resolved. The news was seen by analysts as a setback for China’s attempts to promote its yuan currency globally and attract foreign capital through a raft of financial reforms. “In our 2015 consultation, we learned that major investors around the world are eager for further liberalization of the China A-shares market, especially with regard to the quota allocation process, capital mobility restrictions and beneficial ownership of investments,” said Remy Briand, MSCI managing director and global head of research. MSCI said the decision on China-listed shares will remain on the 2016 review list for their potential inclusion into its emerging market index. The decision may fall outside of its regular schedule of classification reviews, MSCI said in a statement. A decision to include domestic Chinese stocks in the widely tracked MSCI Emerging Markets Index would have injected an estimated $400 billion of funds from asset managers, pension funds and insurers into mainland China’s equity markets over time, MSCI has estimated. In a conference call, MSCI said it would give investors 12 months between an announcement and implementation for including China A shares in the index. Chinese stocks dipped on the morning of June 10. The CSI 300 index was down 0.8 percent at 5,279 shortly after the start of trading, while the Shanghai Stock Exchange Composite Index fell 0.85 percent to 5,071.